I bring this up because owls seem to be a recurring theme for us. One hit our CAR on the way home late at night a few months ago on Christmas Eve. We thought it was a baby, but now I see that the Western Screech Owl only grows to about 8 inches tall and looks very similar to our little yellow-eyed victim (below). It happened only 2 blocks from home back in Portland at about midnight… we must have been the only car on that street for several hours. What are the odds of that exact timing? I was able to pick him up on my second attempt… on the first try, he spread his wings about 4 feet wide, which made me scream! We carefully hid him next to a tree away from the road and the next morning he was gone. Hopefully that’s a good sign? 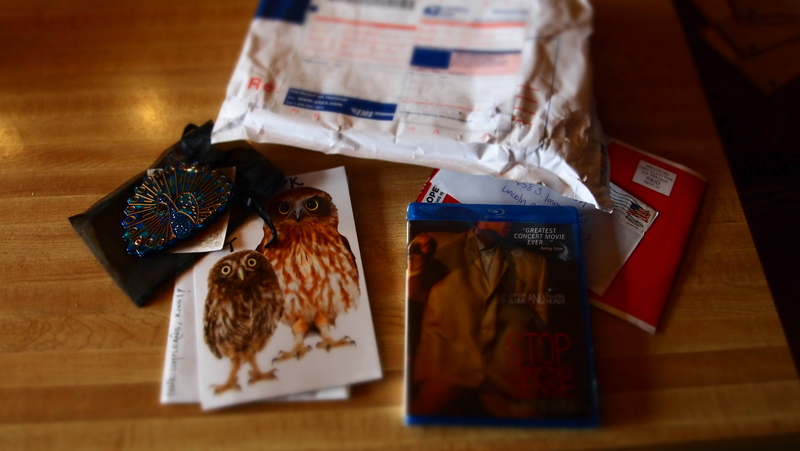 Monday I got this special delivery from my dearest friend… which included a card with, what else? A pair of hooters (as the card so eloquently states)! A funny coincidence, but still interesting. I am really not superstitious, but one may think there is an omen in these recent run-ins. In fact, everyone’s got an opinion on the matter: World Owl Mythology… I see that in Australia, where my mom grew up, they believe ‘bats represent the souls of men and owls the souls of women.’ If that is true, there are an awful lot of male spirits around here (which one is creepier? That, or the ACTUAL bats?). No matter the symbolism, each one takes a visit from an owl seriously. Many eluding to death, evil and bad luck. Others, and the theory that I prefer to wrap around myself, is that the owl is here to promote wisdom. We are a family of two people and three rowdy dogs storming onto this mostly undisturbed land. It has gone over 10 years unused, which has allowed for a peaceful natural sanctuary to develop. And surely this space is even more meaningful in contrast to the logging practices that is the sole industry in the area. 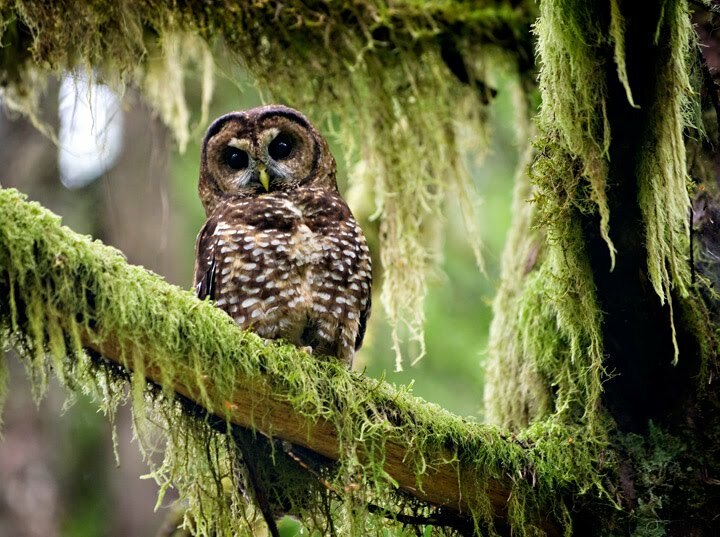 It’s the lifeblood of the Oregon coast, but a source of controversy for the owl as well as many other species. We have every intention of learning how to use this land to grow and make the things that we need, but we better not forget to love it back. Thanks for the reminder wise owl, to proceed with caution and to respect this beautiful place. That is my owl theory anyway. I also think he is here to eat our mice which sure isn’t an omen, but a very welcome gesture! I hope he sticks around.